In one of thousands of olive groves that cover the lands of Andalusia, the Millennial Olive of Arroyo Carnicero stands out as one of the oldest. Largely forgotten in an unassuming side road near the town of Casabermeja, it finally received recognition in 2013 when it was deemed the Best Monumental Olive by AEMO, the Spanish Association of Municipalities of Olive Trees. At that point it was estimated to be over 1000 years old by professors at the University of Cordoba. Olives have been cultivated in Andalusia since the Phoenician times, nearly 3000 years ago. Since then, they have become a staple of the Mediterranean diet. Spain is the world’s largest producer of olives, with an estimated 170 million olive trees. These trees are hardy, and known to live for more than 5000 years. 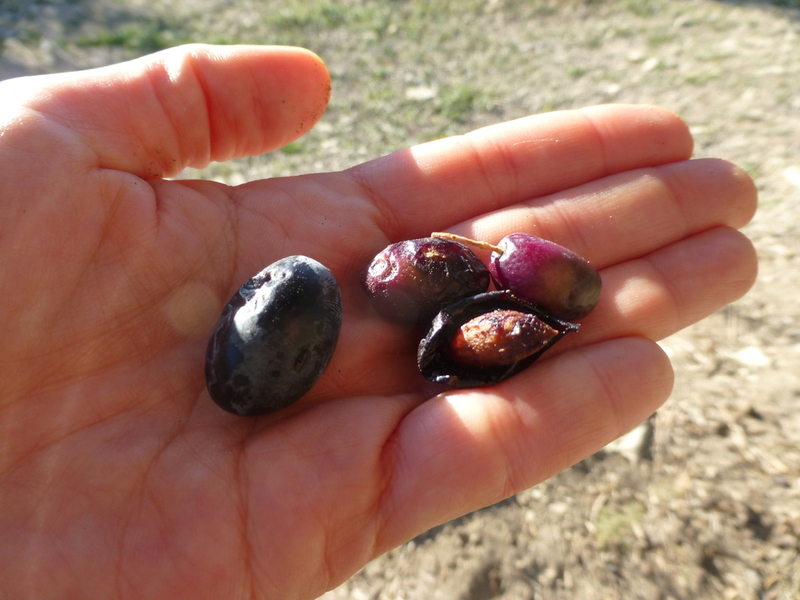 The Millennial Olive of Arroyo Carnicero was planted when the area was known as Al-Andalus. Invaders from the south had conquered nearly all of the Iberian Peninsula, bringing about centuries of cultural exchange between Muslims, Christians, and Jews. 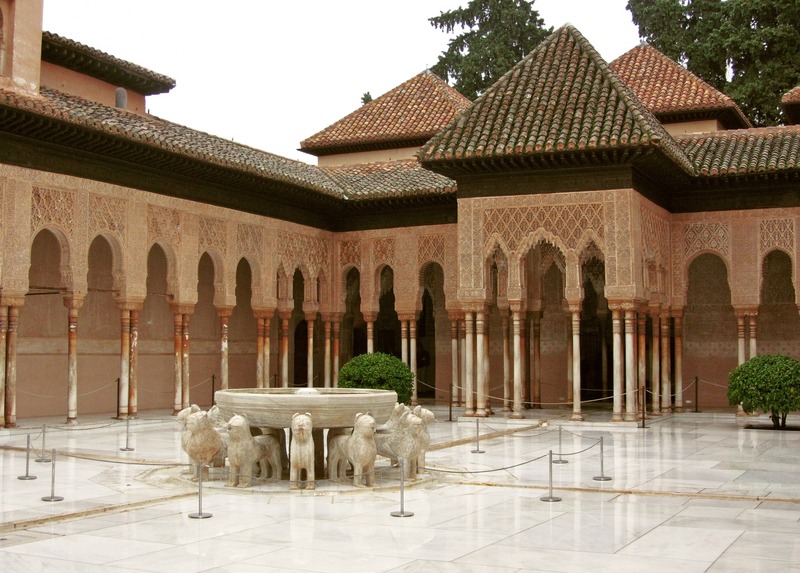 From roughly 750 AD to 1410, the earth beneath the tree was ruled by successive Moorish leaders, and the architecture and culture of the towns nearby still reflect this today. One of their most important contributions was the expansion of olive and olive oil production. Muslim scholars and doctors recognized the great health benefits of olive oil early on, and extended groves that had been present since the Roman times throughout the southern part of the Iberian peninsula. Much of their wealth came from this extra virgin olive oil, which they used not only for cooking, but also for soaps, perfumes, lighting, and medicines. The influence of this period on Spanish culture and food is still strong today. Indeed, even the word for oil in modern Spanish (aceite) comes from the Arabic (al-zeit), meaning olive oil. It was in this environment of reverence for the olive tree that the Millennial Olive of Arroyo Carnicero began its life. Olive trees are traditionally grafted, meaning that one specific tree could have entire branches that grew from sprout from an entirely different tree. In a tree that is over a thousand years old, there exists a mix of genes from each seasons most promising trees. As a result, scientists were unsure of the exact species with which the tree has been mixed. However, it’s likely that it was originally an acebuche, or wild olive tree, which grew naturally on the Iberian Peninsula long before the Moors or even the Phoenicians arrived. Today, the tree is comprised of three massive trunks sharing a common root, which has long been buried underground. 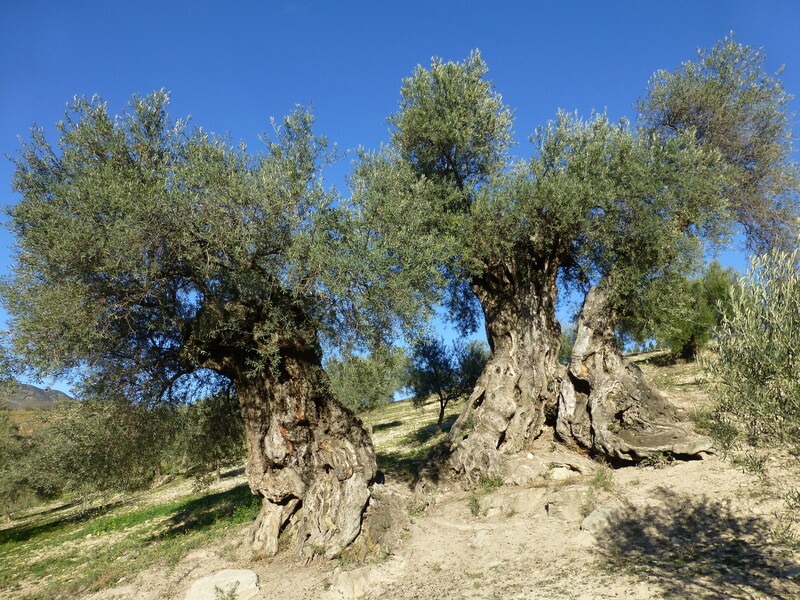 Its gnarled shape is typical of older olive trees, a testament to the harsh weather in which they are capable of surviving. Although it extends to seven meters in perimeter, it isn’t particularly tall. It has been carefully pruned to facilitate the harvest of its olives. Due to its age and size, it can no longer be shaken to collect the olives, and they have to be collected by hand. Does the Millennial Olive of Arroyo Carnicero still produce olives? Yes, the tree continues to produce olives. If an average olive tree produces (conservatively) 40kg of olives per year, it’s safe to assume that this large tree has produced well over 40,000 kg of olives in its lifetime. That’s around 8000 liters of olive oil, or enough to supply a modern olive oil loving Spaniard for nearly 600 years. When the tree does finally succumb to age or disease, it will meet the fate of all other olive trees in Andalusia. 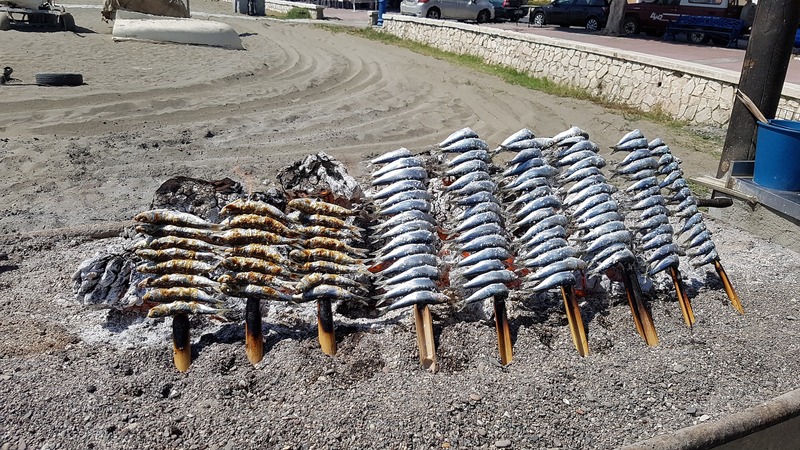 Despite its beauty, olive wood is not very useful for furniture or structures, so it’s chopped up and used as firewood to heat the homes of locals or cook skewers of fish on the beach. During each stage of its life, and even after, the olive tree is an invaluable resource to the people of Andalusia. The Millennial Olive of Arroyo Carnicero will never reach international fame, and even after receiving the award, there is no plaque and very little signage to indicate its location. But that’s suits it just fine. It will continue to quietly do its work, just as hundreds of millions of other olive trees in the fertile soil of Andalusia. If you enjoyed this article about the Millennial Olive of Arroyo Carnicero, check out the archive for more tree stories. Also check out the Facebook page, with a few extra tree goodies throughout the week. Subscribe below to receive notifications whenever a new tree story is published. Please send me a link so I can share them! Very nicely done. A topic I wouldn’t normally have searched for – but I learned a few things! I am also a big tree fan! I found your post really interesting and informative. There is a really great TED talk on how trees communicate with each other by Dr. Simard. It is absolutely fascinating and may be of interest to you. You should check it out. I’d love to know what you think. Great story -blog. Really interesting. Only think I was thinking, when a olive tree is chopped down, isn’t it also made into cooking utensils? Or it that not actually olive wood we buy though they say it is. We have a fair few of those spoons and spatulas. Aren’t ancient trees simply fascinating? Silent witnesses to fleeting human drama. Thank you for the kind words and the information! I definitely don’t speak Arabic, but it seems like both ‘aceite’ (oil) and ‘aceituna’ (olive, from az-zaytun) have the same origin. I assumed olive juice was a literally translation. Olive juice doesn’t sound very appetizing, though! Most natural story I’ve heard so far . Hey Cynthia! I think this is the link: https://cynthiaifunanya.wordpress.com/. Good start! Don’t forget to delete the ‘First Blog Post’ that WordPress puts there by default. learned a lot about olive trees! thanks for this! you’re welcome! saw you’re link in First Fridays. how i wished i participated on it too when i started mine.. anyways, keep writing! And very sadly it is the political destruction of olive trees, the livelihood of so many Palestinian families, which causes such trauma. This sounds like such an anachronism, the political destruction of trees. I hadn’t heard about this before. Such an unfortunate barbaric act. You’ve just successfully added to my fascination in olive trees and of course the wondrous things they produce. Crazy to see trees still standing and growing that date back to Ancient civilisaitons. Interesting tale and fabulous photos.